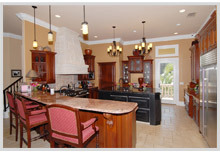 Militano Construction is commited to being a hands-on builder and assuring you of the quality work we do. We make sure to visit each one of our sites daily, ensuring the project is crafted to your exacting specifications, on-time and within budget. Militano Construction is known for consistently achieving the superb, enduring quality that distinguishes a truly fine home and for exceptional responsiveness to the home owner at every stage of planning and construction. Kyle is proud to have collaborated with distinguished architects, interior designers, and landscape professionals to produce finely crafted residences, additions, and remodeling in central Florida. it is our life's work." 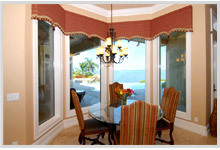 Founded in 1986, Militano has built a reputation for timeless design and architecture, with many of its projects going on to become some of the most recognizable and award-winning custom homes in Melbourne and Brevard County Florida. Although, what matters to us most is not the recognition for the home itself, but the satisfaction of the families that live inside them. Through our architectural design, landscape architecture and interior design services, we look forward to serving you by truly listening to your needs, and exceeding your expectations. When it comes to homebuilding, we know you have options and we do not take your business for granted. We know how important it is to choose the right Florida homebuilder, so rest-assured that before a home passes your quality check, it has to pass ours. We proudly stand behind the work we do. Thank you for taking the time to learn more about Militano Construction, and feel free to browse through our photo gallery for examples of the type of creativity and intricacy that goes into our work. We build homes so that you can build the memories inside them, with your family, and the many generations to come. We would love to hear from you. Please contact us at (321) 779-9797.